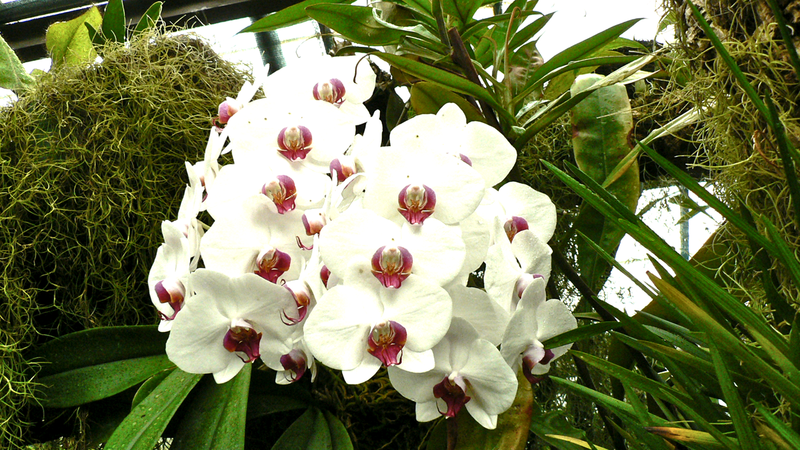 Wouldn’t if be wonderful to have the sort of greenhouse that could grow exotics like these orchids? But it would be a lot of work to look after, so I’m probably better off without. apparently written by someone who signs himself ‘Drunken State’. I think one has to be a member of Hello Poetry to understand their system fully. Theodore Roethke also wrote poems with greenhouses in them, though his seem to be more about memory than giving priority to the building. It’s less effort, and less expense, to read web pages and admire photos than to care for a mass of unusual plants. But I’m really glad that someone takes the trouble. I have two orchids that flourish in my kitchen. They like the steam. Are hidden at the other end. Will decorate the other end. When I was younger I used to recite his verses in public! Thank you for your comment and for the poem. The only time I had an orchid I kept it in the living room and it died. If I ever get another I’ll try the kitchen. Lovely orchids, so fragile and fragrant. Thank you for your comment. I’m glad you like the orchids. So lovely, always reminding me of Hawaii. The flowers in Hawaii must be really something. Spectacular! Orchids on nearly every tree! The colors and scents I shall never forget.